Cars for sale, used cars for sale ads in Brisbane. Thank you for visiting our free advertising website Cars for sale, used cars for sale, Brisbane section. We provide high response free classifieds and free advertisement. Use our online free Cars for sale, used cars for sale classifieds placement system to find, list, offer Cars for sale, used cars for sale online! Skoda Superb SportLine 206TSI 4X4 Wagon:Optioned with Tech pack, Comfort pack & Sunroof. Finished in Dragon Skin Metallic. NOW WITH 5YEAR FACTORY WARRANTY Tech Pack: Pack price represents savings of approx. 40%, versus value of options purchased individually. The Tech Pack includes the following equipmen t: Adaptive Chassis Control with Driving Mode Selection -Lane Assist -Side Assist -Blind Spot Detection -Virtual pedal - hands-free electric tailgate opening -Premium German Canton sound system (12 loudspeakers, central speaker, subwoofer and digital equaliser) -Automatic Parking Assist Comfort Pack: The Comfort Pack includes the following equipment -Electrically adjustable front passenger seat -Front and rear heated seats We are Brisbane's newest Skoda dealer. We offer cash up to $12, 000 for used cars and free unwanted car removals or wreckers services in Brisbane. Get the best price quote for all makes with any condition like Small Hatch Back‎, Sedan‎, 4x4‎, 4WD Ute's, Luxury or Sport‎, no any other charge like towing, price quote and paper work in Brisbane wide. Red Plum Automotive is a luxury car brokers service that can finance and source you a new or used car, at no extra cost, saving you thousands. We offer a range of helpful services including finance, insurance. For more info visit at http://www.redplumautomotive.com.au. A very rare and truly unique 550i M Sport Individual finished in Moonstone over soft Ecru Nappa Leather an incredible as new example with very low kms. The 3 dimensional paint is absolutely unmarked and the interior is in showroom condition, mechanically the car is faultless. Tyres - 4 brand new just. 2006 model, low km's, lowest price, well looked after vehicle. This vehicle has been serviced regularly and has a service log book. You will be impressed!! This is a rare Range Rover Vogue model. This tough 2006 Land Rover Range Rover Vogue was born for the 9 to 5 life of business. Protect you and your family with these features: You can relax, this car also has park assist. THEN THIS IS PERFECT FOR YOU! Only selling as we have a new vehicle. My 2006 BMW 530i has clearly been maintained very well. Travelled 129, 000 km. Look no further than this 2006 BMW 530i. Full service logbooks. Belongs to a non-smoker. This BMW 530i (No Badge) Touring (Wagon) has been driven mostly by a lady driver. New photos have been added 2005 HSV Clubsport Genuine R8 Spec - Build 585 297KW / 400HP 0-100 5.2 seconds 6 speed manual I took this car off the road at 150, 000 and gave it a very expensive birthday. I have receipts for everything and all genuine Holden parts were used. Aircon compressor replaced and re-gassed system. This car has a leather gear knob, front & rear power windows, 17" alloy wheels, cruise control and bonnet protector. Front fog lights. This 2011 Nissan Navara ST-X 550 D40 Auto 4x4, leather steering wheel and side airbags. Equipped with ABS brakes. It has dual zone climate control air conditioning. The car has been professionally cleaned and polished and has not had any fluffy dogs except for the elderly whippet to the vet a handful of times so there's no fur stuck in the carpet! A sweet car to drive in absolute comfort and safety. Whilst roomy, it's also compact to be zippy around town and those annoying tight city car parks with parking sensors front and rear. ****BEST COLOUR COMBINATION**** JUST HAD ITS MAJOR SERVICE NOTHING TO SPEND IMMACULATE WHITE GALLARDO MANUAL ALL OUR VEHICLES COME WITH COMPLIMENTARY FITTED TRACKING DEVICES, 3 YEAR WARRANTY WITH PARTS AND LABOUR + 12 MONTHS ROADSIDE ASSISTANCE "Cause You Deserve It!" Introducing "POMPONAZZI" ceramic coating that last for years! Clear ceramic glass coating applied throughout the car, to protect the paint, creating depth, eliminating any unwanted watermarks and imperfections. 6 cyl 3.0 powerful engine, Steptronic+Sport transmission. Full leather interior, heat, memory and automatic seats. Most powerful car at this price. Safety features include: It has 4 airbags fitted for your protection. ABS brakes. This BMW Z4 (No Badge) Convertible has side airbags. A 4 star ANCAP safety rating. Rare combination of black with cream interior, AMG style 19 inch wheels, Badge and Sound from AMG style exhaust. 2nd Owner, very clean car with a no expense spared on maintaining the car. 6 airbags to give you added safety. This Mercedes-Benz CLK500 Coupe has ABS brakes, side airbags and 19" AMG style alloy wheels. 6 speed Manual, Showroom condition. ABS, Traction Control. This vehicle is fitted with Tein fully adjustable coil over suspension & Works 19 x 8 1/2" Alloys with Yokohama tyres giving sports performance & handling in a luxury sedan. Standard suspension can be supplied if required. Amazing vehicle, 3. Runs extremely well and is a pleasure to drive. Straight car, with a very well looked after engine. Maintance details as follows:- - Regular oil change (last at 88, 000kms) - New battery installed - New cabin filter and air filter - New rear Pirelli run-flat tyres - New water pump and thermostat - Brake fluid flush - New rear brakes (83, 055kms) - New rocker cover gasket (83, 055kms) If you're looking for a BMW, don't buy one without the above items being done. This 2005 Porsche Cayenne has a whopping 250kW of power from it's 4.5 litre engine!. Only travelled 103111 km. Stay protected with these features: - Side airbags - Passenger airbag - Driver airbag - Sunroof - Recently serviced FEATURES THE WHOLE FAMILY WILL LOVE: It has electric power assisted steering. This 2004 BMW 645ci is powered by a 245kW 4.4 litre engine!.Auto Trans Only travelled 61400 km. Some safety features: It has 4 airbags fitted for your protection. The price includes registration paid for the next 14 months until April 2018. It will come with a roadworthy certificate so you don't have to do the running around. V8 5.7Ltr Gen 3 Motor, Cold Air Intake, ABS, 4 speed Auto, Sports Springs, Cruise Control, Air-Con, Radio CD, Red in Colour, Red Leather Trim, Carpets, SS Dash, Alloy Wheels, New Tyres, Tow Bar, Tub Hard Top Lid, Tub Liner & Rubber Mat, Fog Lights. Cricks Mt Gravatt, your Alfa Romeo, Fiat, Fiat Professional, Chrysler, Jeep, Dodge, Ram & Skoda Dealer in Mt Gravatt, Brisbane. The Crick Auto Group was founded in 1995 and today comprises 12 dealerships representing 27 new car brands.Our dealerships are located in Tweed Heads, Rockhampton, South Brisbane and 8 sites on the Sunshine Coast in Queensland. Brisbane Car Removals probably one of the best car wreckers companies in Brisbane and deserve praise for all the work they have done for the local community.Other services include car removals Brisbane and cash for car Brisbane as well by Cash for Trucks Brisbane.for more info Visit At www.brisbanecarremovals. Upgrades from stock are the following: fitted new alarm , stereo, and that's about it. Still has the ADM (granny) rear bumper. Purchased at 126, 000kms from family in Feb 2015. It had done little work over the past 8 years while he rode to work and this sat in his garage, being taken out 1-2 times per month. This is a very neat 2001 Landcruiser GXL. Champagne exterior with grey cloth interior. Low kilometres 195, 629 4.5 L naturally aspirated petrol 6 cylinder, Auto Transmission. Features: Central locking, electric windows, electric mirrors, electric aerial & Am/Fm CD player, Aircon, tinted windows dual fuel tank, factory alloy rims, RedArc electronic trailer brake system, Cruise control, adjustable steering height, aluminium bull bar, aluminium side steps, safari snorkel, adjustable Air Bag suspension, twin batteries, Towbar with dual plugs- 7 pin small & 7 pin large. In 2001, after the success of the 3200GT Coupe setting record sales figures for the Marque, Maserati announced a special limited edition of a 'super sports' version. The 'handling package' includes a lowered suspension set-up - some 15mm lower than the standard car with stiffer springs, a larger diameter anti-roll bar and a variable electronic suspension system with allows the driver to adjust to any of 14 individual settings. Australia free ads for Cars for sale, used cars for sale, Brisbane, Cars for sale, used cars for sale free ads Brisbane, Cars for sale, used cars for sale for sale Brisbane, Cars for sale, used cars for sale to buy in Brisbane. Find on this page free classifieds for Cars for sale, used cars for sale in Brisbane. This listing includes classifieds for sale and to buy in Brisbane. FREEADSAustralia Brisbane offers you a platform to post free advertisements or classifieds for Cars for sale, used cars for sale in Brisbane. FREEADSAustralia helps you search, find buy, sell, rent or hire in various categories like apartments, goods for sale, local services, cars , jobs and many more in Brisbane. If you posted an advertisement in category Cars for sale, used cars for sale of FREEADSAustralia Brisbane before please use Edit my ads button to change or cancel your ad. 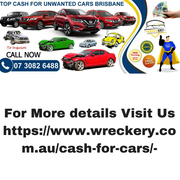 Cars for sale, used cars for sale Brisbane ads Brisbane, Cars for sale, used cars for sale classifieds Brisbane, Cars for sale, used cars for sale free ads Brisbane, ads for sale Brisbane, ads to buy Brisbane, FREEADSAustralia. Find here ads for sale, to buy and rent in Brisbane. Goods for sale in Brisbane, vehicles for sale in Brisbane, Brisbane real estate for sale, Brisbane property for sale, property for rent in Brisbane, business ads in Brisbane, Brisbane business classifieds, services in Brisbane, Brisbane services ads, jobs in Brisbane, pets for sale in Brisbane, Brisbane dating, Brisbane cars for sale.